I'm late with pics again! 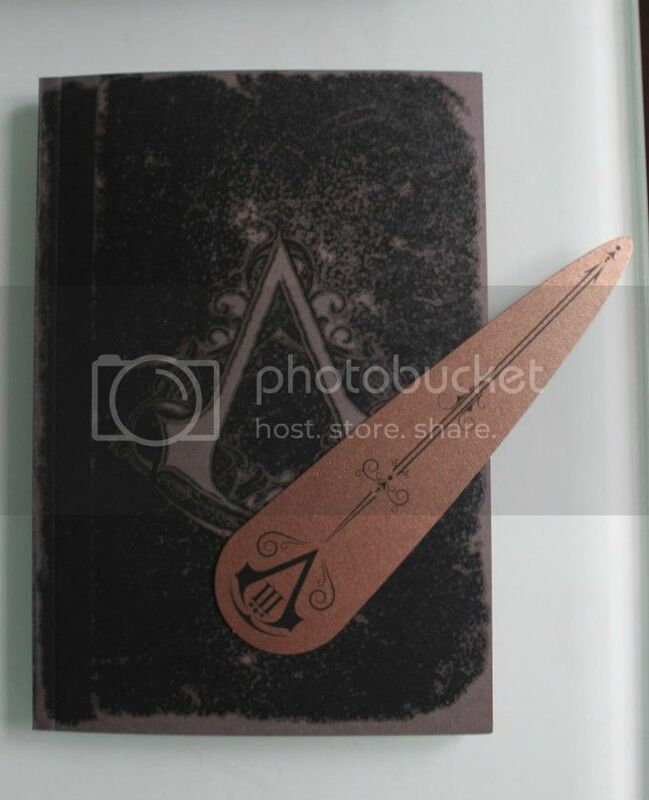 I'm getting these CEs and packages faster than I can take pics of them and upload them for my blog! 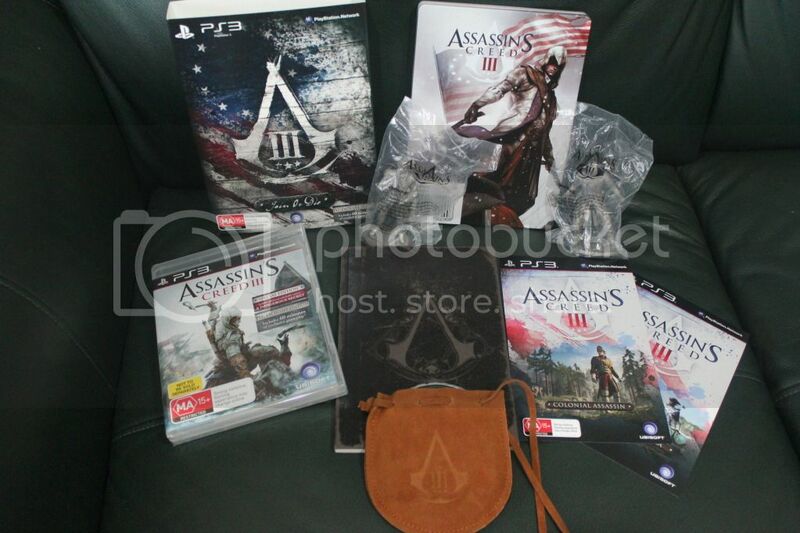 Just got my US Assassins Creed LE and the Amazon book package so I better hurry up and update! 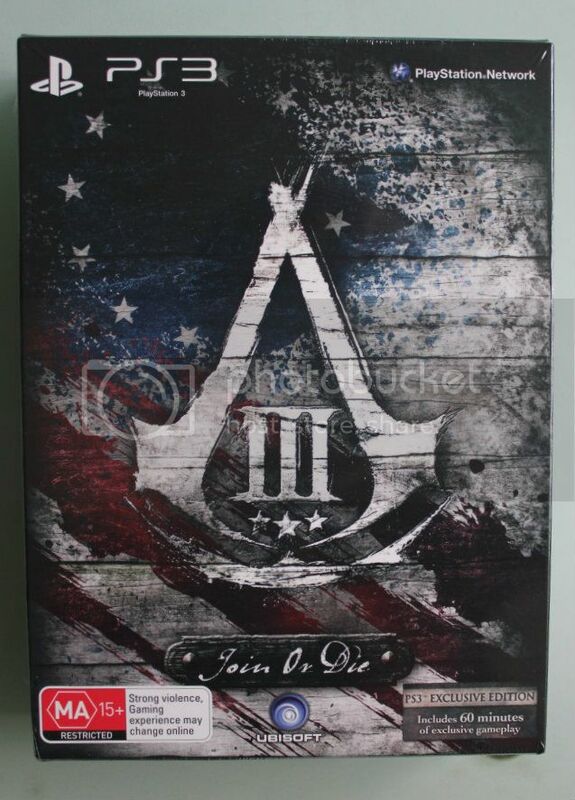 Ordered my Join or Die edition from JB Hi-Fi in Australia because they had a pre-order bonus of the pewter figures. 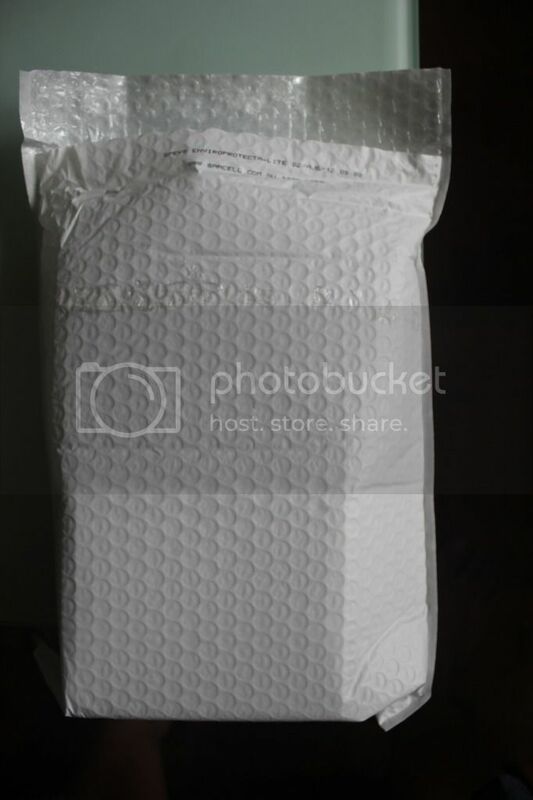 2 Packages came in a single box..
Second box contains the pewter figures and the white envelope contains the rest of the goodies.. Opened the white envelope to find another surprise! 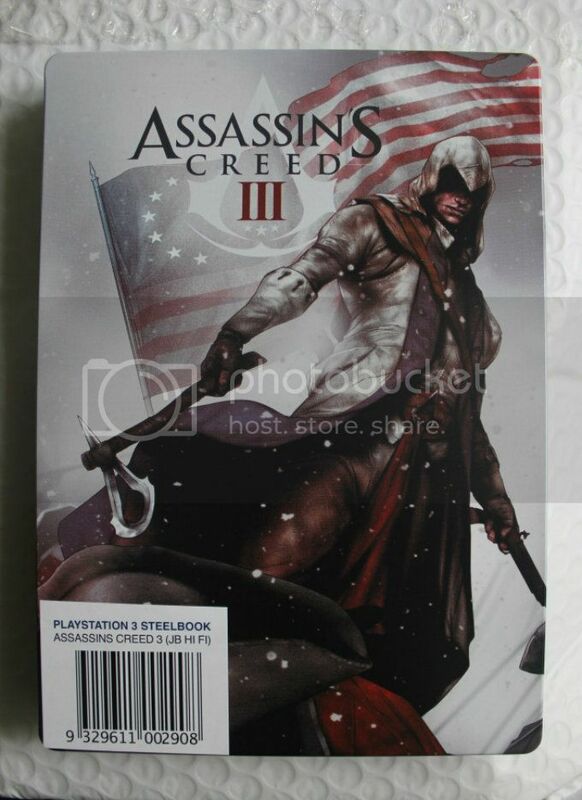 One of the Assassin's Creed 3 Steelbook! This wasn't mentioned in the website at all so it was a pleasant surprise to see it included! 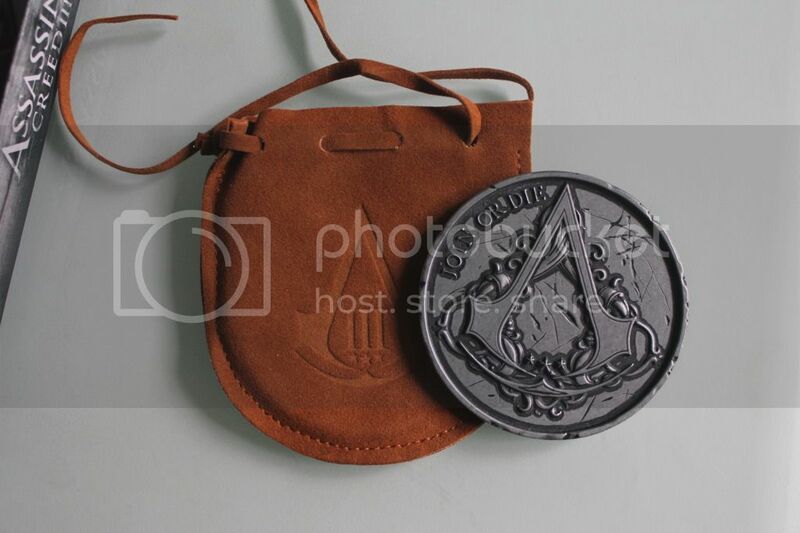 However, they had to put a sticker on the bottom left.. oh well..
Can't remember if this was included in the website but certainly wasn't expecting this. Instructions says it is to be redeemed in-game. Does that mean I can use it for my R2 copy of the game? Will be great if I could! Pretty cool looking.. Nice but like I mentioned before, was hoping for a plastic box for durability. 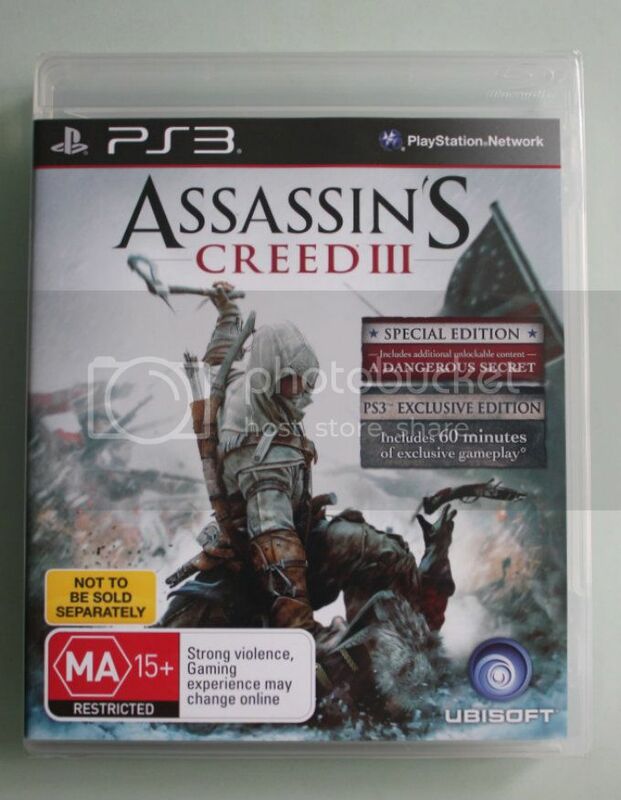 Mine was received in absolute mint condition though..
Have an extra copy of this so will be selling it away. US$20 anyone?! Will ship internationally! Much bigger than I originally thought it would be. 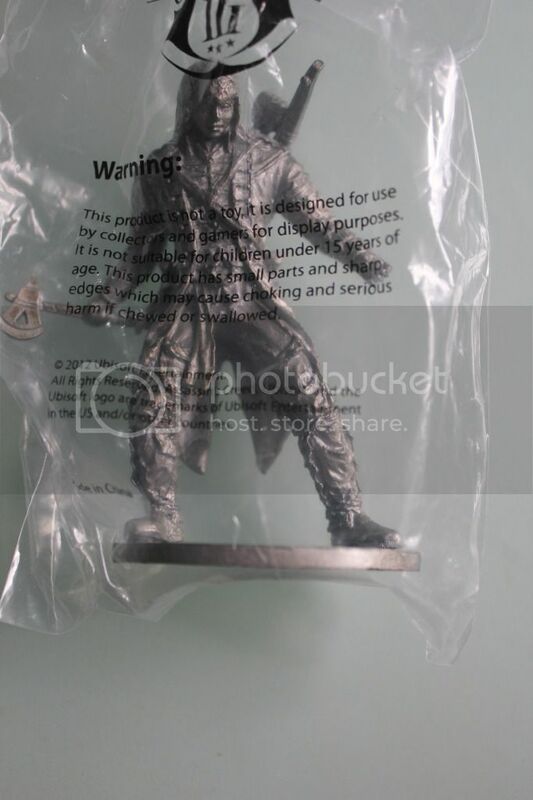 The British Soldier and Connor Pewter figurines.. They look ok.. Nice but somehow I'm not really liking them too much as I hoped I will. I guess I love colour. 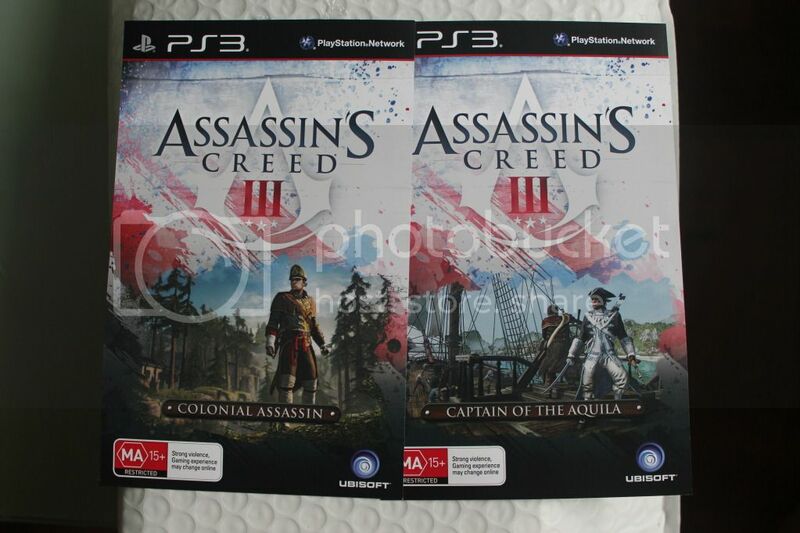 They look fine though.. guess I have a different kind of taste..
Not the best Assassin's Creed 3 Edition out there. 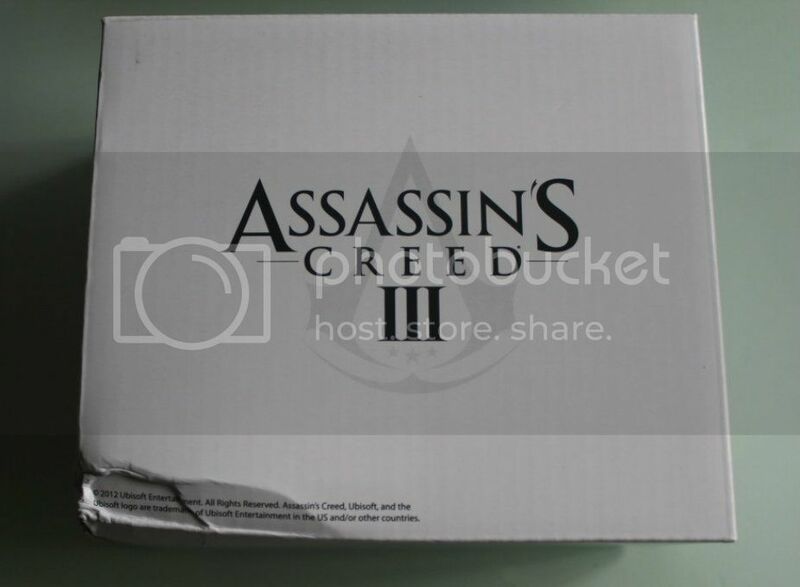 Already knew that the "collector's box" wouldn't be plastic but decided not to cancel my pre-order. 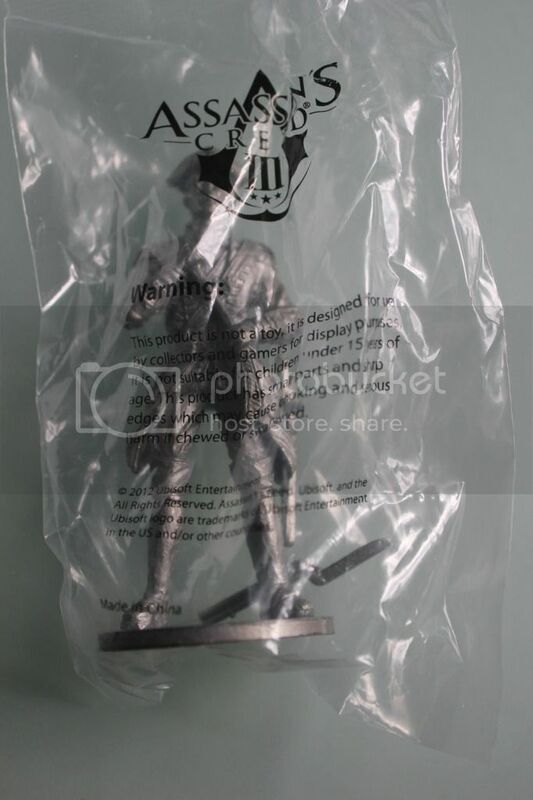 Not really moved by the Pewter figurines but they look good. Came with extra goodies that I wasn't expecting so it was still worth it overall. No regrets about buying though!